This past Wednesday, Queen City citizens and food advocates gathered together inside the 7th Street Public Market to celebrate Food Day 2012, a national celebration and movement for healthy, affordable and sustainable food. Food Day was created by the Center for Science in the Public Interest, a coalition of food movement leaders, individuals and organizations, to “promote safer, healthier diets, support sustainable, organic farms, reduce hunger, reform factory farms to protect the environment and to support fair working conditions." One of the primary goals of the annual Food Day celebration is to encourage communities to create localized events to raise awareness and incite a dialogue about food issues. 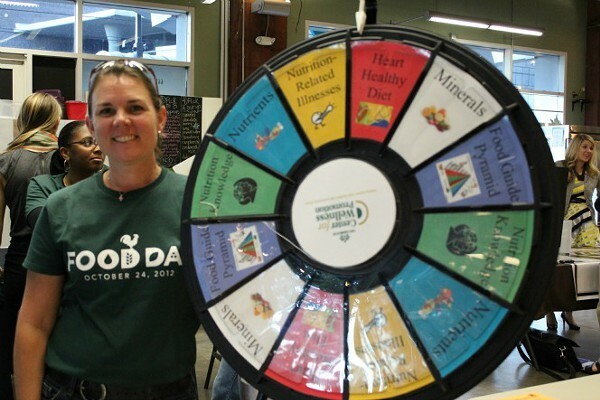 This year, the North Carolina Cooperative Extension partnered with local nonprofit, Know Your Farms and Carolinas Medical Center to host La Vida Local: A Celebration of Real Food, which focused on the topic of eating real, whole, unprocessed foods. 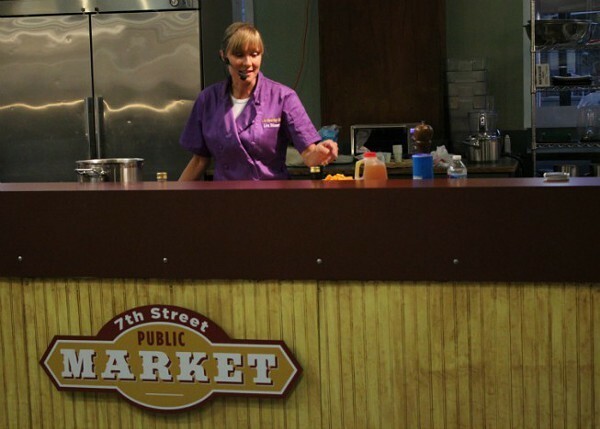 A wide swath of Charlotteans came out to enjoy the festivities, which featured local food tastings and a cooking demonstration by local chef and healthy lifestyle counselor, Lisa Stimmer. 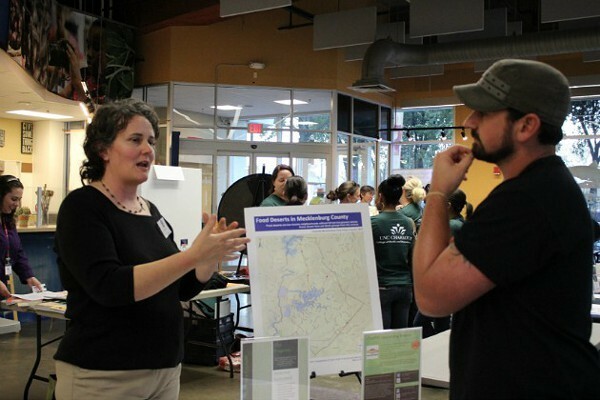 Educational vendors were on hand to answer questions about local food and facilitate discussion about food policy issues including the Charlotte-Mecklenburg Food Policy Council, Grow Charlotte, 4-H, the Mecklenburg County Health Department and Mecklenburg Fruit and Veggie Coalition. "We wanted to raise the awareness of local foods from many different aspects. 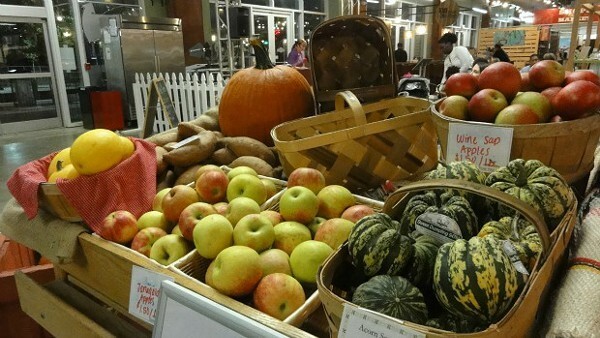 We chose the 7th Street Public Market because of its ties to local foods and we chose organizations that would reconnect people with important food organizations in Charlotte," says Kristin Davis, extension agent for the NC State Cooperative Extension division for Family and Consumer Sciences. Volunteers from UNC-Charlotte Department of Student Health tested attendees on their knowledge of healthy eating and families happily munched on local food provided by North Carolina producers. Topics of conversation ranged from healthy eating tips to functional food systems and everything in between. "By connecting people to real food through this event, we hope to educate our public in tangible ways" says Davis. I guess eating is believing. At least, in my humble opinion.